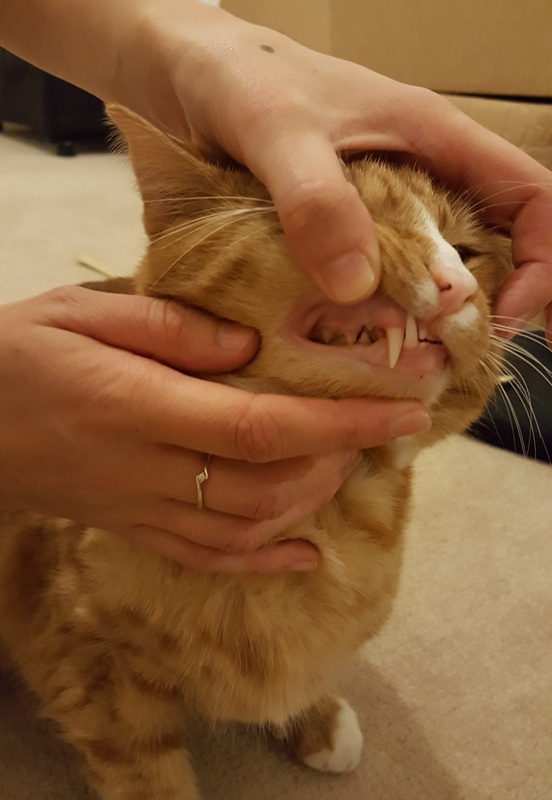 Why is dental home care so important for your cat? Unlike us, cat’s cannot clean their teeth and over time they can become coated in plaque and become inflamed and sore, just like humans. Cats do suffer from toothache too, but often hide these problems and therefore tooth pain goes unnoticed. Cats commonly suffer with plaque/ tartar build up, gingivitis, tooth resorption, tooth root abscesses, tooth fractures and smelly breath. 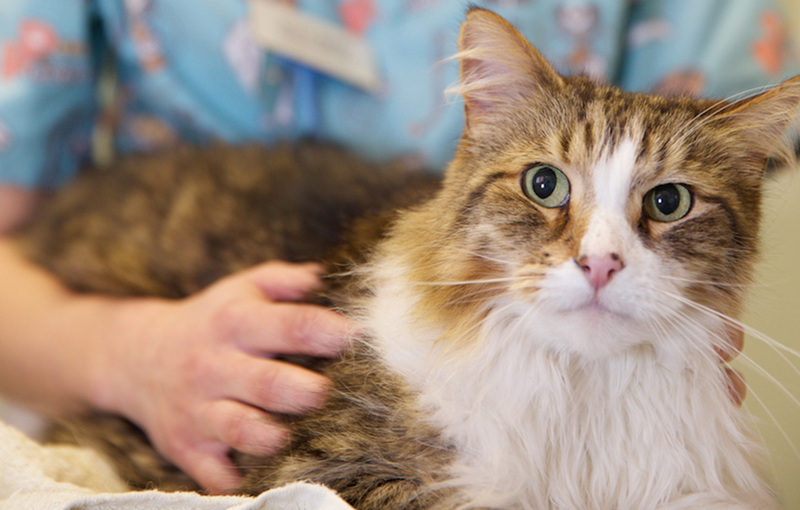 These problems are painful for your cat and you may be unaware of these issues. Tooth brushing is the best way to keep the teeth and gums healthy. Some dental disease and poor oral health can be prevented and improved by providing dental homecare for your cat. 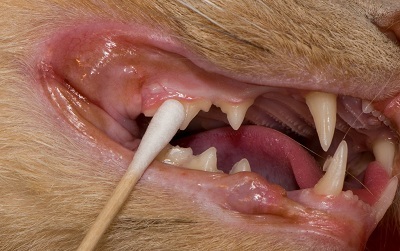 Poor oral health in cats often leads to extractions and oral infection. Start by offering the chosen toothpaste as a treat. Some cats really like the taste, but for others it can take some time to adjust to. 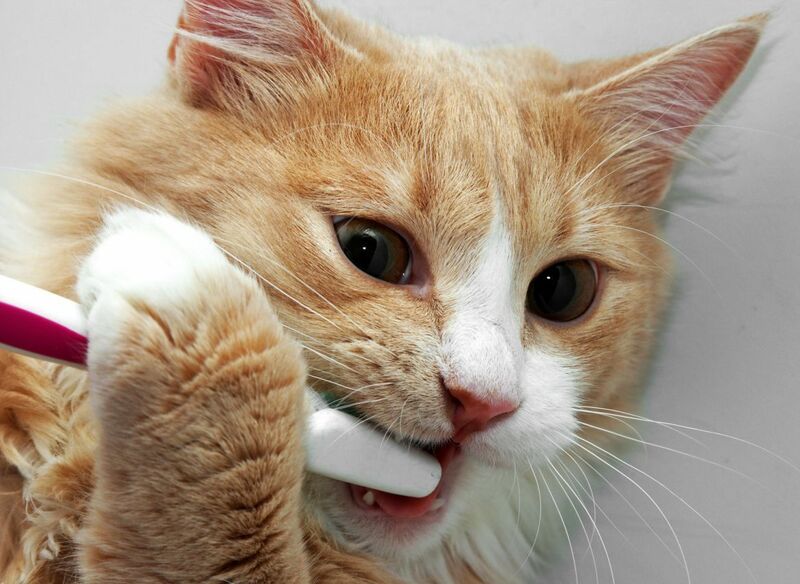 Try this for a few days so the cat thinks of it as a pleasurable experience and builds the trust prior to brushing. Once your cat is taking the paste well from you, it is a good idea to gradually start getting used to holding the cats head in the position that will be needed so they then get used to the handling at the same time as the treat (reward!). 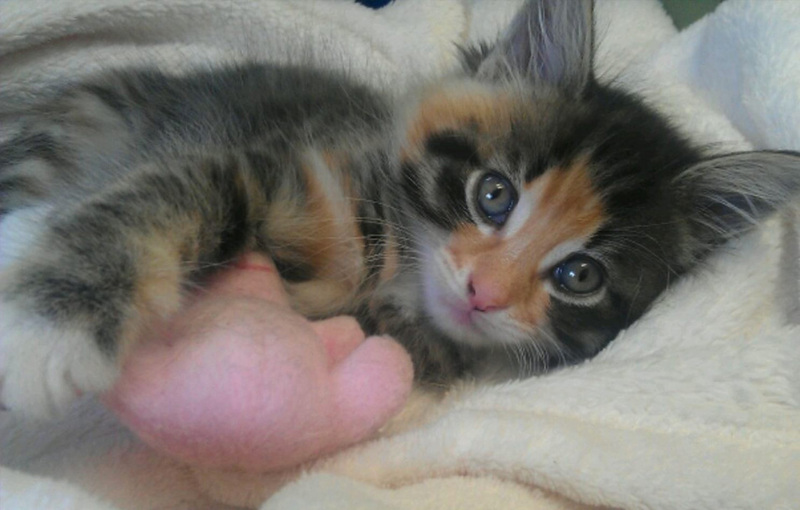 This process may take 3-4 days so the cat still trusts you and you are confident with the handling. 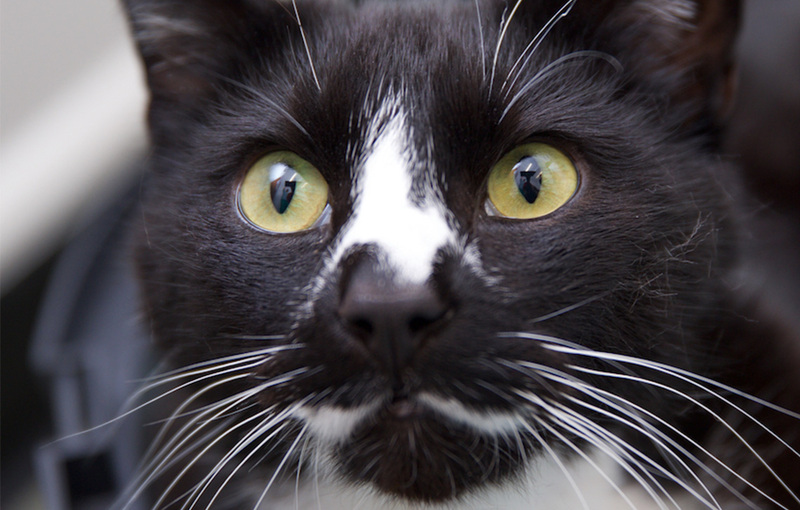 If a cat senses your nerves, he/she will be less tolerant! Sit behind the cat rather than approaching him/her from the front as they will not be able to wriggle backwards and will feel less confrontational for them too. Then gently place the palm of your hand towards the back and top of the head and use your thumb and middle finger to hold around the head, by the cheek bone. Ensure your index finger is lifted up so it does not obstruct your cat’s eyes. Once you’re are happy that you’re have a firm but comfortable grip that is not distressing your cat, gently tilt the head up and use your thumb to lift up the upper lip slightly and stay in this position. With your other hand, gently pull down the cat’s lower lip to give you a clear view and get the cat used to the handling. After a further 3-4days or as necessary, hold your cat’s head as before and instead of using the second hand to pull down the lower lip use a cotton bud with some toothpaste on it and gently rub the back teeth to begin with. 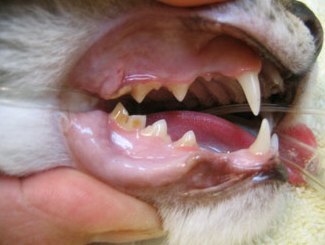 The back teeth are the most important teeth to clean but can be more difficult to get to. Some people find a towel easier to wrap the cat in for brushing and some cats find this approach better than additional handling from other people as cats are much better with the less is more approach! Finally you can then use the technique above with their favourite flavoured toothpaste treat and start using a cat friendly toothbrush. Do this for 10 seconds on each side and then increase the time to 30-45 seconds each side. A little gum bleeding can be normal at this stage until the gums are healthier. 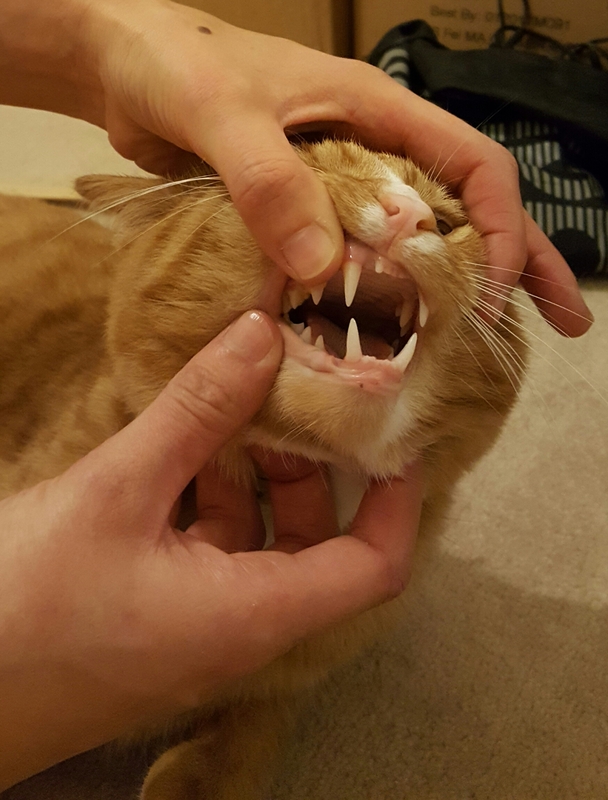 Come and visit us for a dental check, or pop in to meet one of our friendly members of staff for more information and the products available as there is a large range from dental diets, cat toothpaste, or gels and liquids to add to your pet’s water.